[INQ. NO. 1408E09] Since its foundation in 2006, EPIK System Co. has specialized in providing home networks, home security and home automation solutions and products. The company has constantly released home network equipment such as wall pads, video phones and transportation card systems (Linuxembedded). EPIK System Co. has rich experience in the home network, home security and home automation fields. Running its own R&D center, the company has successfully supplied its solutions and products to domestic and foreign companies such as GS Construction, Kyoungdong Networks, NTT (Japan), Gardi (Russia) and FINETEL (Saudi Arabia). As an authorized venture company, EPIK System has obtained international certifications like ISO 9001 and ISO 14001. EPIK System Co.’s “EVPA-403” hands-free type video phone is equipped with a 4” color TFT LCD display. Measuring 190 x 230 x 56mm, the model operates on AC90~240V at 50/60Hz. A four-wire type, it provides door key and intercom functions, allowing the user to monitor the visitor and have voice communication. What’s more, it enables the user to call the guide station whilst communicating with the visitor. “EVPD-701” hands-free type video phone from EPIK System Co. employs 7” wide TFT LCD display with a resolution of 800 x 480. Offering an on-screen display (OSD) function, the model operates on AC 90~240V at 50/60Hz. It enables the user to call neighboring houses and conduct inter-communication with the guide station. It lets the user freely control the volume and screen brightness/contrast. For user convenience, it also provides a door lock-releasing function. 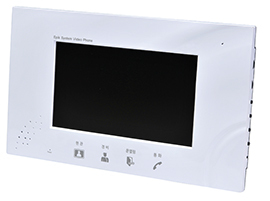 EPIK System Co.’s “EVPC-701S” seven-inch video phone is suitable for home automation systems of urban apartments and villas. Featuring a luxurious design, the model ensures quick installation by the use of unshielded twisted pair (UTP) cables. With door lock/lobby lock-releasing function, it enables the user to call neighboring houses and inter-communicate with the guide station. Today iPad and Galaxy Pad have become somewhat necessities for people. These pad-type devices have attractive designs and, more importantly, awesome functions. They are trailblazing a new path by changing the way we live and work. However, they are not alone. SBNTECH weighs in to join the exclusive club with VPAD, a new-generation video communication device. The company began in 2004 and was motivated to help people with hearing and speech issues. Since then, SBNTECH has released numerous versatile multimedia communication devices in the global market. And SBNTECH’s VPAD came to light, thanks to the IP video terminal maker’s successful integration of broadband network, data communication, and multimedia solution. SBNTECH’s SVP5000 with a 10.2-inch TFT touch screen LCD is wrapped around with its digital photo frame and equipped with SD card slot and two USB 2.0 ports, including a built-in speaker, built-in WIFI and Bluetooth function, external video and audio input & output, and more. The video communication device also comes with user friendly GUI(Graphic User Interface) and easy and quick installation. With this VPAD, people at home can visually interact with friends and family at anytime and anywhere without any restrictions. In the hospital, doctors can directly diagnose and advise their patients who are not present at the same place. At office, workers can hold a video conference with clients who are halfway around the world. 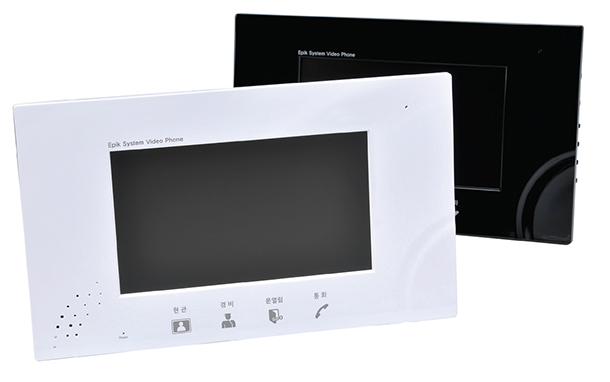 If you want more information about ‘Video Communication Device’, please contact us. Founded in 1968 as “Joongang Electronic Engineering” at a time when the Korean electronics industry was basically non-existent, Commax has grown into a major supplier of door view systems and home security and automation systems to customers all over the world. Commax became the first company in the world to receive UI and TUV standards for video door phone systems. Commax’s home mobile system allows the homeowner and user to link various digital appliances and devices into a network to create a home network effortlessly. The system creates a “home mobile network system that” that allows the user not only to manage household devices but to experience online contents, music, movies and games. The device even includes a digital TV function. To enable these functions, the company has adapted various communication, VoIP and multimedia technologies including H.264, MPEG4, SIP (RFC3261), ITU-T G.723.1, and IEEE802.11 b/g/a/n for home mobile systems. In addition, the advantage of Commax’s gate view includes a wide array of functions including an easy installation one-cable system (UTP cable), individual camera connections, guard call and door release (multiple cameras), OSD menu, and several audio and video options. Commax has received Korea’s major electronics and communication certifications as well as global standards and certifications including, FCC, CB, E-MARK, Argentina-S-Mark, FDA/DHHS, GOST, and FSE marks. The company has also been selected as Korea’s 1st Brand and a 2011 International Security 50 company, and received the Good Design Award in that same year as well.